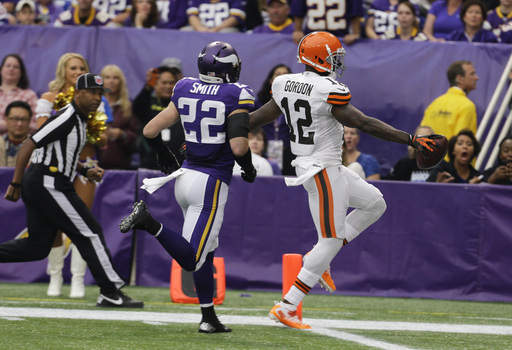 The Cleveland Browns prevailed on Sunday in the battle of the winless teams, beating the Minnesota Vikings, 31-27. The Browns pulled out a back-and-forth game that featured plenty of big plays – and bad quarterback play – from both teams, with quarterback Brian Hoyer hitting tight end Jordan Cameron with a seven-yard touchdown pass with 51 seconds left in the game. Those were the only points the Browns scored in the second half and they came at a most-opportune time. The win breaks a five-game losing streak, dating back to last season, and is the first time this year the Browns were able to turn a halftime lead into a victory. But more than all that, the Browns hopefully learned an important lesson in the Metrodome: the problems of the offense can no longer be laid solely at the feet of Brandon Weeden and Trent Richardson. We break it all down at The Cleveland Fan.